An independent publisher award winning title. 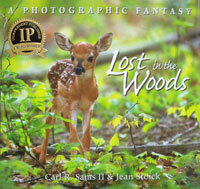 A beautiful springtime forest fantasy book where woodland creatures express their concern for a newborn fawn they believe may be lost. C. Sams and J. Stoick. hc. 2004.